I went to Whole Foods last night. I actually bought a container of pre-soaked black eyed peas. Yes I did! I am not going to be stewing over some stove just because I can get me a lil “change,” and good luck in 2016. Naw, boo. I’m making a change in how I do New Years. So just in time for you to do the same I offer you an alternative without totally re-inventing the wheel. So I got to thinking about New Year’s as a time to eat . Does it have to be a completely heavy meal or can it be a sampling of things, like Afrocentric tapas or mezze. New Year’s also coincides with the day of the karamu or Kwanzaa feast on the day of Imani, or faith. Rice and peas or beans of some sort. Or just rice. Or millet. Or fonio. 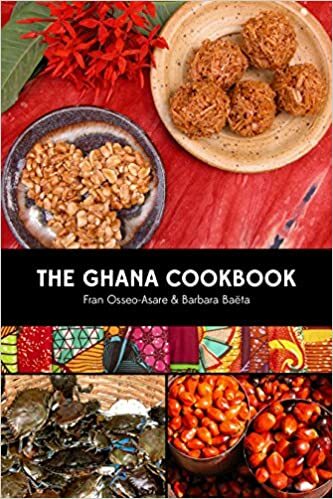 Or grits 🙂 But really, you need some Jollof Rice in your life and here is the place to find it–The Ghana Cookbook. If meat is your thing-and it is certainly mine, you need some lamb, goat, mutton, beef or chicken in your life. I love Pierre Thiam’s recipes. Click here for something great starters from Pierre. His roast lamb in his new cookbook with tamarind barbecue sauce is over the top fantastic. I am hoping to raise enough money to make it to Senegal this year so I can try some for myself. 3. Fish or Seafood. For those you need to visit Ms. Dora Charles. 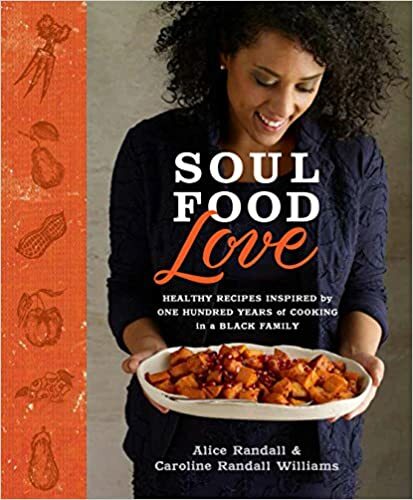 This is hands down my favorite traditonal soul food cookbook of the year. Her fried fish or shrimp and grits or shrimp gumbo will fill the need for the something wonderful from the sea. 4. Want traditional and reliable? 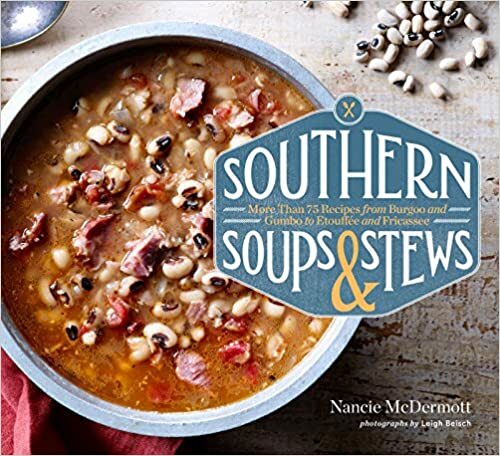 Go with the authentic and encyclopedic Southern Soups and Stews by Nancie McDermott for classic recipes for collards with dumplings and stewed black eyed peas. This is a keeper. 5. Smoked Trout Deviled Eggs, yes I said it. 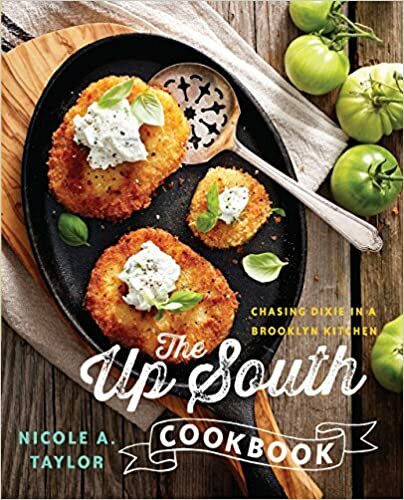 2015’s most innovative and fresh approach comes from the beautiful Nicole Taylor with her The UpSouth Cookbook. 6. Searching for healthy alternatives to traditonal recipes that still come from tradition? Look no further than Team Randall. Soul Food Love is exactly what you’re looking for. 7. So I want to make collard chips. No I don’t have a recipe because I’ve never done it before but I’m going to try and I found an awesome recipe for them: Try this one from the blog The Inspired RD. Alysa Bajenaru–thank you for this healthy alternative snack and a break away from the kale jail. 2 cups of chopped ripe, juicy tomato–or as best you can find. 1 cup of finely chopped bell peppers–green, yellow and red. 1/2-1 teaspoon of hot sauce –preferably peri peri sauce from South Africa. Mix all ingredients together and chill for a few hours before serving. Stir to combine flavors every now and then. 9. Going Vegan or Veggie? 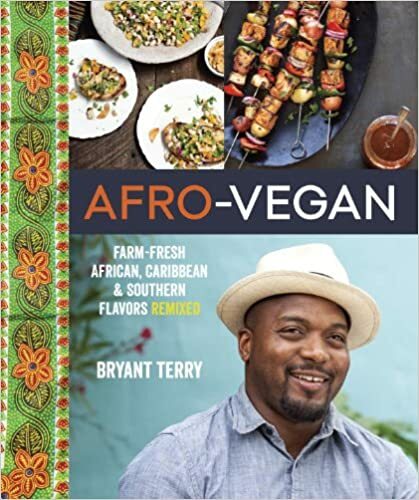 I still have to make that Bryant Terry plug because not enough people know about this book—it should be a household staple!!! 10. 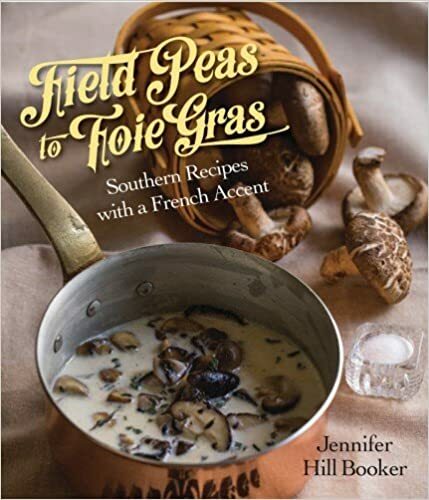 Cook to impress—-if you want updated Southern classics with a classic French cuisine technical flare—then go with my homegirl Jennifer Booker. Field Peas to Fois Gras–its all there and its all good. and its fancy but not fussy. 11. If you need a last minute Kwanzaa gift–baby–have I got one for you and it has a good number of recipes from across the entirety of African American culinary history including forays into the Diaspora and the Continent–and its the closest thing we have to a family album of African American culinary literature! This is IT. 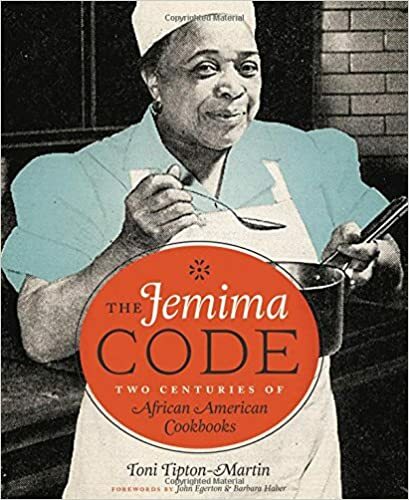 IN my opinion the most important book EVER written about the culinary history of African Americans–and I want a sequel. Toni Tipton Martin’s The Jemima CodeThe Jemima Code. 12. Now for the sweet tooth. 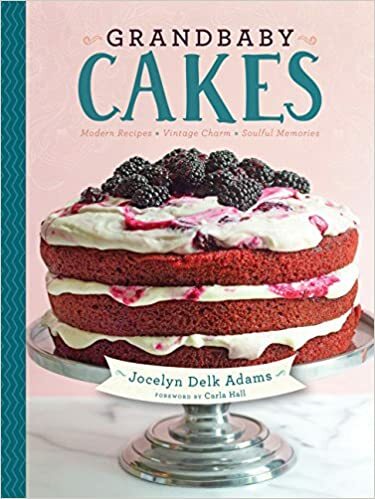 We have a new African American dessert classic: Grandbaby Cakes by Jocelyn Delk Adams who also has a very popular blog. 13. Sweet potato chips make an excellent dip for that salsa–besides you need something that looks like “gold coins.” Here is a great recipe and demo! 14. What’s New Year’s without a cocktail. My favorite mixologist is Tiffanie Barriere from Atlanta. Here is a delicious delicious cocktail that will put some pep in your step! Who am I kidding, I never really keep it simple. Happy Cooking and Happy New Year 2016! Don’t forget The Cooking Gene in 2016! Mmm mmmmm! Thank you for this list. YUM and YUM! Your recipe sounds a lot like a Black Eyed Peas Salad that I make sometimes. It’s very salsa like with the tomatoes, bell peppers and fresh herbs I add. I really enjoyed your list, a lot of my favorites as well. I hope you get to Senegal in 2016. Happy New Year! Love this! Grew up with the tradition to eat black eyed peas and chitlins on New Years for luck. Great suggestions! This is a fantastic bunch of cookbooks! I made Crispy Black Eyed Peas and Yuca Cakes from Pierre Thiam’s cookbook Senegal and they were fantastic! 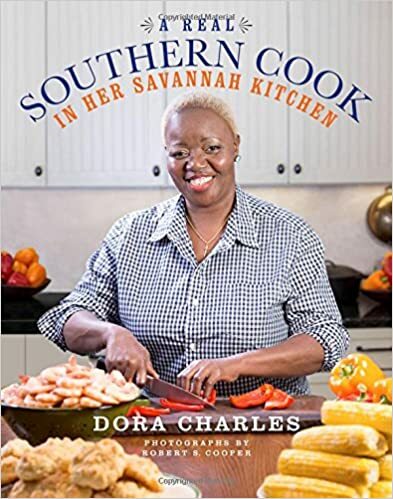 My mom bought Dora Charles’ cookbook after I told her about it…then I “borrowed” the book from her after our Christmas visit. She may come looking for it but I’ll deal with that later. Thank you for sharing my collard chips recipe! This list is fantastic. I can’t wait to check all of these links and books out. “Or as best you can find.” Indeed, finding good tomatoes this time of year is a challenge! I chuckled at this line. Thanks for the run-down on the cookbooks. Thanks for the reading list recommendations! Dried black eyed peas cook in about 30 minutes in a pressure cooker. I have never soaked them. And for all you backyard gardeners, they are incredibly easy to grow. Canning tomatoes from the garden also solves the problem of finding good tomatoes in the winter. Many thanks for the list. Black eyed peas cook in about 30 minutes in a pressure cooker. I never soak them. And for all you backyard gardeners, they are incredibly easy to grow. Canning tomatoes from the garden also solves the problem of finding good tomatoes in the winter. Thanks for the list. I took a break from reading this because I was inspired to pull Vegan Soul Kitchen off the shelf and find something to make for a Shabbat potluck this Friday. And then I came back, finished reading and there was more Bryant Terry… kismit.